Much of the streambed along Ritner Creek lacks gravel and is dominated by bedrock. Upper Ritner Creek canopy lacks large conifers, which contribute woody debris essential to salmonid habitat. Fallen trees in the stream channel slow down the water velocity and provide essential habitat for salmon and trout, as well as many other species of wildlife. Starting as a trickle on the slopes of Bald Mountain, Ritner Creek flows through forest, swirls around farmland and glides past homes to meet the Luckiamute River just past its namesake covered bridge. At first glance, much of the upper section of this small tributary looks relatively healthy and lush with vegetation. However, the appearance of upper Ritner Creek mirrors that of many other waterways in our area that have been scarred by the impacts of historical practices. 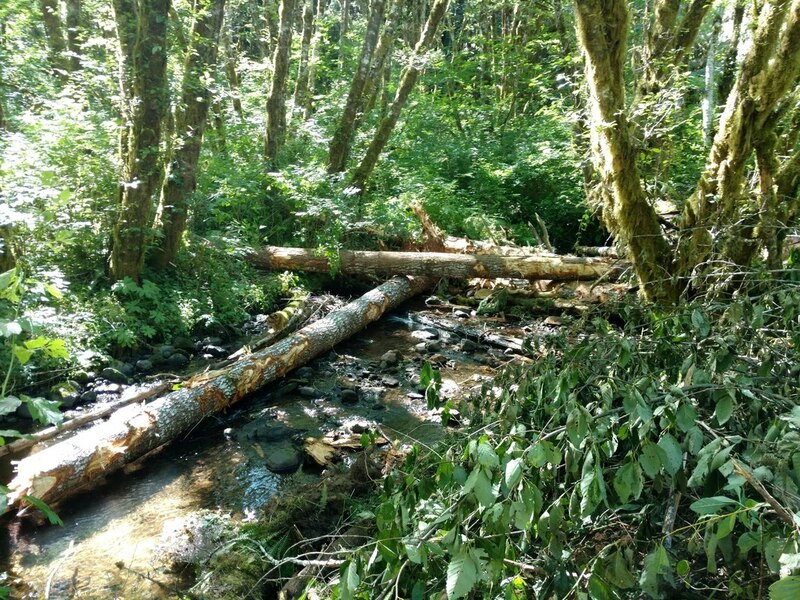 Even though modern timber harvest guidelines aim to protect riparian (streamside) habitat, the effects of historical logging practices continue to negatively impact our waterways in many ways. One of the most damaging of these practices – splash-damming – has resulted in increased erosion, barriers to salmon and trout migration, and a loss of the large wood so important to healthy in-stream habitat. Today, exposed bedrock and the lack of gravel on the streambed are just a few of the issues facing Ritner Creek as a result of historical splash-damming and log drives, more than seventy years after these practices were abandoned in our area. 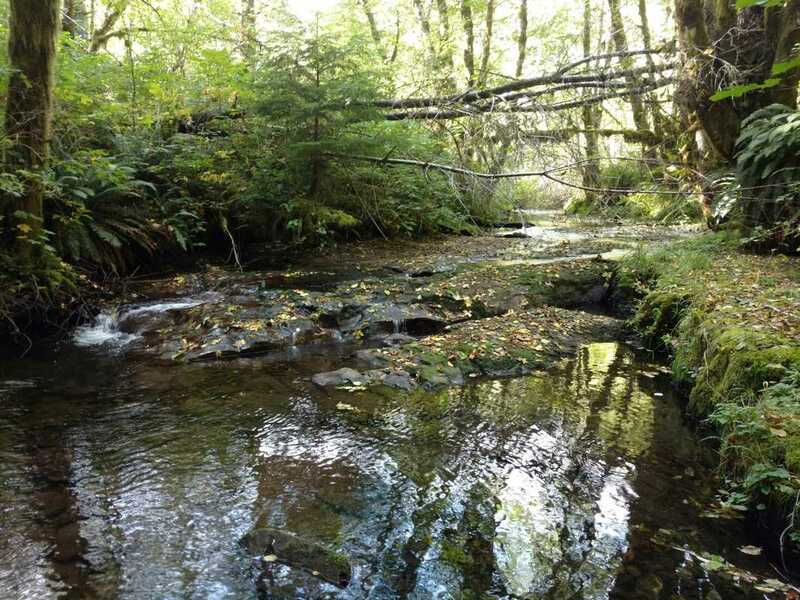 A mapping and analysis tool called NetMap has helped us identify upper Ritner Creek and other stream sections within our watershed that have the most potential to be restored to high-value salmonid habitat. 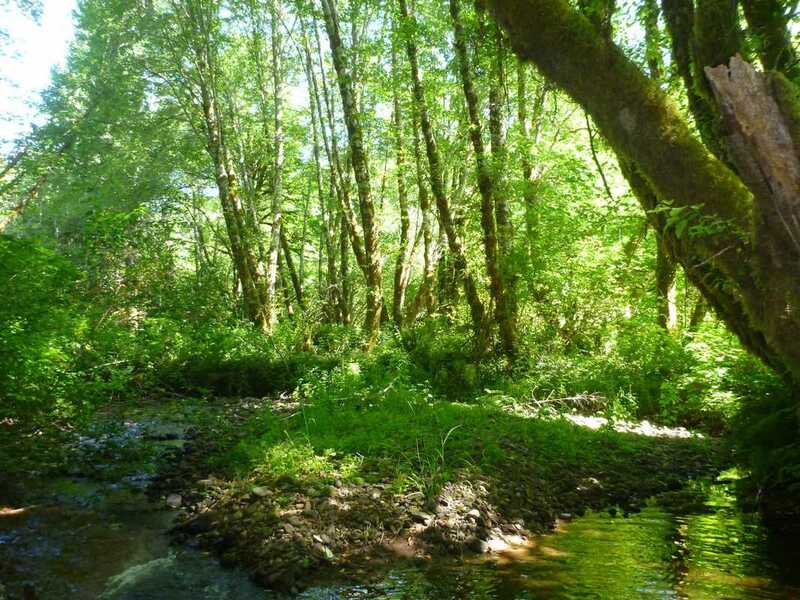 Thanks in part to our use of this innovative analysis tool, the LWC was recently awarded an Oregon Watershed Enhancement Board grant to help restore Upper Ritner Creek, and set it back on the road to recovery. Hancock Forest Management and the Bureau of Land Management (BLM) are partnering with the LWC as landowners and contributors on the project. Check out action footage of log placement in Upper Ritner Creek below!